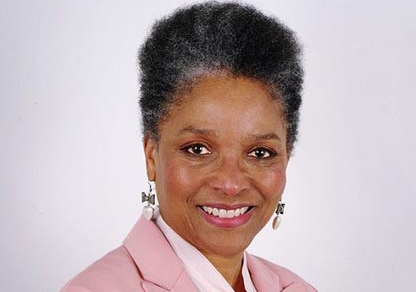 Peaches Golding OBE is to be awarded the Honorary Degree of Doctor of the University (Hon DUniv) by the University of the West of England (UWE Bristol) in recognition of her contribution, service and commitment to Business. Peaches Golding OBE is Her Majesty’s Lord Lieutenant for the County and City of Bristol. Appointed in 2017, she will retire at the end of 2028. Peaches is a highly experienced, award winning director and non-executive director having gained experience in sectors such as utilities, media, health, education and recruitment sectors. Her areas of specialism include corporate responsibility and strategic marketing and communications. She is a persuasive public speaker, trusted and respected campaigner and business leader. Peaches established a marketing and communications consultancy in 1992 and for 17 years she was commissioned by one of HRH The Prince of Wales’s Charities, (the UK’s leading corporate responsibility charity), to focus on leadership development, diversity and change management. Her consultancy clients included Government Office for the South West, Office of Deputy Prime Minister, Business Link, Environment Agency, EDF Energy, Bowater Pharmaceuticals, British Steel, among others. Peaches was a Non-Executive Director of the North Bristol NHS Trust and of GWR West Limited (where she was a member of the Board that won the franchise from Ofcom, the communications regulator). She was the Independent Chair of the Regional Advisory Council of ITV West (1997 to 2006), Independent Chair of the Viewer’s Advisory Panel of ITV West Country (2006 to 2017), a member of the Ethnic Minority Business Forum (2004 to 2006), the Home Office representative on the Avon & Somerset Police Authority (2000 to 2008), an Independent Governor of the University of the West of England (2000 to 2008) and a member of the General Chiropractic Council (1996 to 2004). Peaches is currently Independent Chairman of the Bristol Water Challenge Panel (the committee that assures the regulator Ofwat that the customer’s priorities are central to the business and investment programme), a Board Member of Moon Consultancy (an executive search, selection and recruitment consultancy for senior executive and Board level posts) and a Trustee of the ss Great Britain. Peaches was appointed by The Queen to the ancient and historic role of High Sheriff of the County and City of Bristol 2010-2011. She was awarded an OBE in 2009 for services to minority ethnic people in the South West and was recognised by the Bristol Post and Bath Chronicle in 2015 for her ‘Outstanding Contribution to Business in Bristol and Bath’ in the Women in Business Award. Peaches graduated from the University of N Carolina, USA with a BA (Biology) degree and awarded an Honorary MBA by the University of West of England in 2010. She is a Member of the Chartered Institute of Marketing. Responding the award Peaches said, “I am thrilled and deeply honoured to be awarded the Honorary Degree of Doctor of the University. To receive this tremendous honour is far beyond my expectations and an enormous pleasure for my family, colleagues and me. Bristol is a city that I dearly love and I shall cherish this Honorary Degree in recognition of my contributions to it. Thank you so very much”. She is married to Bob Golding (a former Zoo Director of the Zoological Gardens at the University of Ibadan, Nigeria, Executive Director of Cotswold Wild Life Park and Founding Director of Natural Habitats Ltd). Peaches and Bob have one son Charles (who was awarded a Foundation degree at the University of the West of England before graduating from the London College of Printing). This Honorary Degree of Doctor of the University (Hon DUniv) will be conferred at the Awards Ceremony of the Faculty of Business and Law at Bristol Cathedral on Friday 14 July at 10:30.